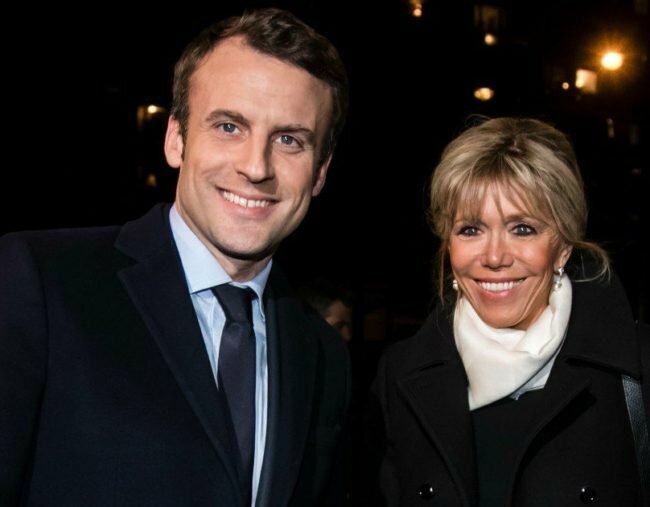 Emmanuel Macron no kids: He must be unfit for office. The French President is unfit to run a nation. He doesn't have children. On Sunday, the French public made their call. Emmanuel Macron was to be their President complete with his centrist politics and desire to stay in the EU. The 39-year-old is married to wife Brigitte Trogneux and has been since 2007. He is a former investment banker, has dipped in and out of politics as both a Minister and member of staff and will be the youngest President in French history. But the French people are missing something. Isn’t ANYBODY paying attention? Macron doesn’t have any kids. Sure, he has a couple of step-children running around but he doesn’t have any of his own. Holly Wainwright, Monique Bowley and Jessie Stephens argue about whether we’re sexist in our attitudes to age gaps. I hate to be the bearer of bad news and sh*t on the European Union while it’s already in the gutter, but can someone tell me what kind of future France has when their leader doesn’t know what it’s like to raise a child? Everyone knows that when a man holds a pregnancy test in his hot little hand and grows a baby inside his uterus his body automatically releases hormones that make him more emotionally intelligent and less, well, cold. Being a dad means you have a “very real stake in the future of [your] country“. If he’s never given birth to a child, how can he have any stake in the future of France? Surely everyone knows having children is the “great loving experience of any lifetime” and “by definition”, not having kids means “you haven’t got as much love in your life”. Without this love, what kind of leader will he be? What good is a man who spends his whole life working for a career? What good is a man who puts himself above all else, above everyone else, and selfishly pursues a life of work and not family? It speaks to his levels of empathy, because Macron doesn’t have any. It speaks to inability to nurture. It speaks to his arrogant denial of the one thing he was put on this earth to do: Procreate and then nurture. A man’s not meant to work! That means denying the very core of his paternal instincts. “The obvious question” here is whether Macron himself thinks he is at a “disadvantage politically because people have kids and they have families and people identify with that“. Regardless of where he stands and what he thinks, Macron is absolutely at a political disadvantage. Doesn’t Macron realise that a man with no biological children has no place creating policy on family? How is he meant to understand the struggle of working fathers – of the sleep deprivation, the selflessness, the love that parenting entails? Emmanuel Macron is deliberately barren. He chose his career. And France must be worse off because of it. They absolutely must be. Childless men are unfit for office. We must view them with suspicion. They have chosen a career over their biological destiny – their sole purpose – and denied themselves the magically transformative experience that is having kids. OH! WAIT! Emmanuel Macron isn’t a woman. No one gives a sh*t if he has kids or not. And even better, what’s the bet you had no idea Macron was childless either? Note: Yes… This is a satirical, tongue-in-cheek piece. Beware of fake news! And, obviously, understand the difference between satire and fake news.